4/3/2182: The Sons of Kanaloa grow ever greedier and soon they start doing business with Raiders as long as it benefits them. As their power grows so does their unpopularity. 10/7/2194: The country of Ohana manages to take complete control of the island of Oahu and declares themselves as a sovereign nation. Two political parties are formed: Kame’s Esprit, focused in expansion, and Libertarians, who want to focus on Ohana and its well-being. 3/5/2195: Ohana holds its primary elections. While the country is way more peaceful and lawful than the rest of the islands there is still division as Robots, Psykers or Ghouls cannot vote and are considered second class citizens. A member of the Libertarian party; a local doctor and scholar called Mahalo is chosen as the first President. 9/14/2202: During the eight years of president Mahalo’s reign she established several farms, secure roads and water purifiers, she created the Ohanan army and managed to unite everybody under a single flag. After holding new elections Edward Callhorn of the Kame’s Esprit political party substituted her. While many asked him to even further secure and regularize the laws, equality and well-being of all citizens, president Edward preferred to even further expand the country in an attempt at conquering the rest of the islands. With his first mandate began the First Ohanan War. 10/12/2202: The president opened a few enlisting stations but forcefully conscripted several people into the army, people who were going to leave the islands and be sent into unknown hostile territory to die in a cause that many considered lost and moot. This made president Callhorn fairly unpopular, more so when most of the conscripted persons were either Ghouls or from the poorer parts of the country. 2/1/2203: After receiving only a small training the conscripted army made their first journey into the unknown. The President had the chance of buying maps and information from the Sons of Kanaloa since they already knew how the rest of the islands were faring but in an act of arrogance he rejected their propositions, believing that his supposedly well equipped and trained army would manage to kill any enemy that they might face. 4/13/2203: The first skirmish between the Ohanan army and the High Evolutionary Super Mutant army erupts. The Ohanan’s, never having encountered a Super-Mutant before, are both surprised and amazed at their size, strength and resilience but any attempt at capturing or enlisting them ends in failure. The Super-Mutants are also surprised because unlike the pirates and raiders these men and women are a real army, trained and with good quality equipment. The first encounter ends with the defeat of the Super-Mutants but soon several more skirmishes will come. 6/14/2203: After four months the first Ohanan Invasion War ended. Many died; the ones who returned were either amazed or scarred by what they endured and witnessed. Since outside of their beloved island laws didn’t apply to the soldiers, they had complete liberty to loot anything from the places that they invaded and the enemies that they killed. The territories that they secured gave them great riches and quickly they went home turned into wealthy people. This made Edward a slightly more popular president but also created a huge political schism among the local population; one half believed that he had turned the army into little more than trained raiders and the other loved the fact that they had done such demonstration of power and welcomed the newly brought riches. 7/3/2203: The returning soldiers spoke of all the horrors of the Wasteland, including the Super-Mutants but not everybody believed them, in fact their own president took these tales as drunken hallucinations to avoid creating a wave of fear. 9/15/2203: Due to the rejection suffered by their own president the so named “Great Tide” occurs. Many of the soldiers, scarred from the horrors of the wasteland or desiring for more killing and looting, decide to commit treason and abandon their country to become pirates or raiders. Riots occur all across Oahu. 9/15/2206: The first Ohanan War and the Great Tide caused President Edward Callhorn to become completely unpopular, even between the members of his own political party. He ultimately lost the following elections. During the following years the next presidents toyed with the idea of focusing on the country or expanding their territories further; this became the great duality of Ohana with people having one opinion or the other. 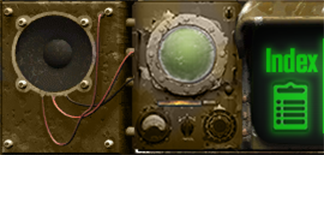 In the meanwhile the country slowly improved technologically and socially speaking, regaining close to Pre-War levels of quality of life and technology and shrinking inequality to the point of making Robots, Psykers and Ghouls accepted and respected members of society. 8/23/2227: Vault 207, located in the outskirts of Honolulu, opens after 150 years of isolation. Thanks to the great piston powered door they move aside all the sand and debris that hid them from the world. Before anything else they make radiation readings and activate their G.E.C.K, terraforming a great part of the island and turning the dead soil into a lush forest. 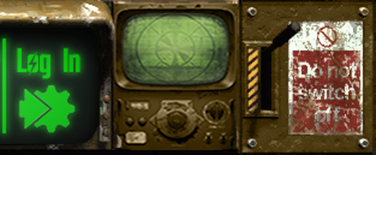 The sudden growth of the forest gathers the attention of the Ohanan government, they send a group of scientists and soldiers to investigate and they make contact with the Vault Dwellers. The dwellers relieved that they were found by a democratic government and not by crazed mutant cannibals decide to gladly join them. 2/11/2228: Vault 207, now renamed Port Kalewa, is integrated into the country and becomes a small seaside city. Thanks to these two cities and the dozen smaller settlements and farms the entire island of Oahu is turned into a tumultuous busy country. By using the technologies stored inside of the Vault the quality of life goes up once more. 3/5/2242: As the cities in Ohana grow so does its energy needs. The local power stations cannot manage to supply everybody and blackouts become more and more common. The Sons of Kanaloa in an attempt of protecting their best client decides to help the country by revealing the location of the ruins of a Nuclear Power plant located in a repurposed oil rig. 3/20/2242: Ohana sends a military pacification party towards the Nuclear Power Plant to eradicate any mutant critter or pirate that had settled in there. After managing to secure the nuclear power station they soon discover that their reserves of uranium are critically low, and will only last for 5 years. The engineers and mechanics of Ohana manage to repair the Nuclear Power Plant and direct its energy to Oahu’s power grid. 5/15/2245: After learning of Port Kalewa and Vault 207 the High Evolutionary declares war to Ohana. The Super-Mutants and all the tribesmen and raiders that lived on Hawaii start launching raids on Oahu. They send all the non mutated warriors to attack Honolulu and act as a diversion, at the same time the Super-Mutants raided Vault 207 in the search of the original Vault Dwellers and their pure DNA. They manage to kidnap about a hundred of original Vault Dwellers and immediately after taking them back to Hawaii proceeded to turn them into Super-Mutants. As Kunuiakea expected these test-subjects have a much bigger chance of correctly evolving and retaining their sanity. After the Super-Mutants kidnapped the Vault-Dwellers they retreated back to Hawaii and so did most of the Raiders and Pirates that attacked Oahu. 7/20/2245: After the catastrophic attack the Ohanan government decided to unite and strike back, not only to recover their kidnapped citizens but also to strip Hawaii clean of their resources, specially the so much needed Uranium and fissionable materials that the island’s Nuclear Power Plant needs. With the support of the two main political parties the Second Ohanan War begins. 3/15/2246: A splinter group of the Enclave reaches Hawaii after being defeated in California. They settle in Molokai as a group of mercenaries. Seeing that Ohana is the biggest and richest faction they at first do a show of power by travelling to New Honolulu and finishing all the Feral Ghouls and Mutant Critters that roamed the sewers and abandoned parts of the city for free. Since Ohana was at war with the High Evolutionary the Enclave gets immediately contracted to aid in the fight against the Super-Mutants. 3/8/2257: Thanks to the combined effort of the army of Ohana and the technological prowess of the Enclave they slowly yet steadily started winning the war against the High Evolutionary. During a twelve year old attrition war the nation of Ohana created several military outposts, ports, bases and even some small cities across the Big Island of Hawaii. The island successfully provided with Uranium and Nuclear Materials needed for the Power Plants. 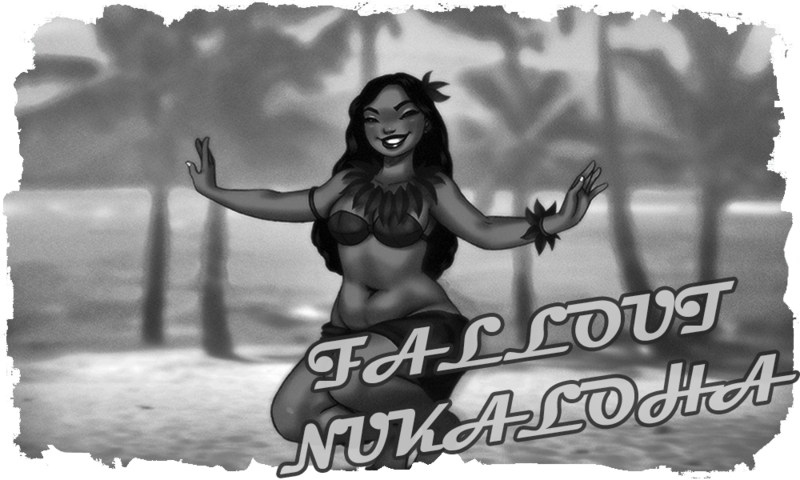 During these twelve years the nation of Ohana manages to return to some of its former glory and even manages to recover some of the Super-Mutant turned Vault-Dwellers who quickly decide to return to their roots and go back to Oahu. 2/24/2261: The High Evolutionary, reduced to only a handful of Super-Mutants and about a hundred of human tribal warriors is on the brink of being completely defeated. Seeing that it cannot win against the army of Oahu, Kuinakea decides to engage in acts of sabotage and suicidal terrorism. During a suicide mission they manage to sneak a nuclear bomb into one of the cargo ships that transported the nuclear material to Oahu. They detonate the bomb only a mile away from the coast of New Honolulu, the entire city is able to see the ship exploding into a massive nuclear mushroom. During the following weeks more kamikaze attacks continued destroying the nuclear stockpiles that the Ohanan’s had built. This ultimately made the island way too radioactive and the morale of the invading soldiers too low. 3/14/2261: After several weeks of sabotaging and terrorist acts the nation of Ohana chooses to retire from this disastrous war. The Super-Mutants soon recover all the settlements that the army of Ohana had built or conquered. They liberate all the captured prisoners of war and transform all the captured Ohanan soldiers into Super-Mutans. 5/15/2261: Without the fissionable material the Nuclear Power plant soon ceases to function. Once more the power outages and crime sprees start to affect the country of Ohana, a country that still had not completely recovered from the Super-Mutant invasion. 7/20/2261: Even if the war has been lost the Enclave forces the already weakened government of Ohana to pay for all its services, this ultimately sums the country into an even deeper ruinous state. This thread has been proofread and edited.